They’ve beaten us at Jeopardy, chess and Roshambo. They’ve engaged in mortal combat and even taken on juggling. It’s only a matter of time before one wins the IJA. It’s time to face facts and bow down before our new robot overlords. It’s not alarmist; it’s called being realistic. 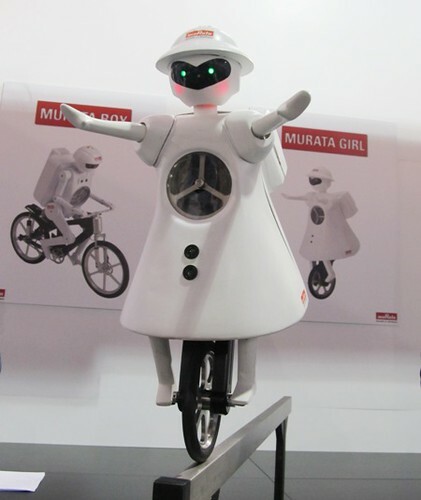 Meet Murata Girl, a female robot who is an expert unicyclist. Yes, robots can be female and yes, they can ride unicycles. She can go forward, backwards, idle, and ride on a balance beam. Her brother (or boyfriend… it’s not really clear) Murata Boy is an expert bicyclist, giving Mat Hoffman a run for his money. Below, you can watch Murata Girl in action. Quiver as you count the moments before the onslaught of the robot apocalypse. I’ve said it before but this may be a sign of the apocalypse, or a cause.